Physalis – the berry with many names: Inca Berry, Andes Berry, Cape Gooseberry, Golden Berry, ground cherry, or Chinese lantern. Physalis contains the valuable vitamins A and C, and is rich in phosphor and iron. 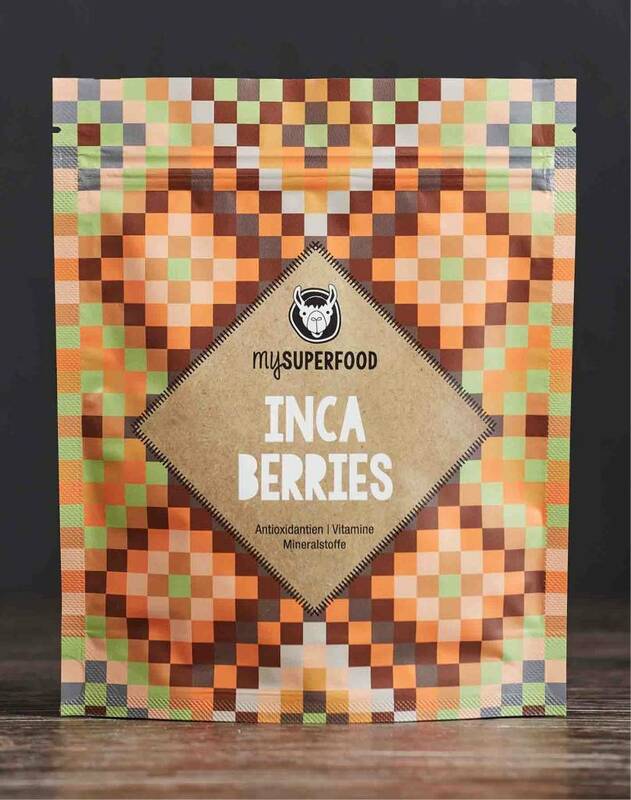 Our INCA BERRIES are handpicked, have a glorious sweet-sour flavor, and a very pleasant soft bite. Dried Physalis is well suited for use in smoothies, mueslis, baked goods, or as a healthy snack. We buy our INCA BERRIES directly from producers in Peru. 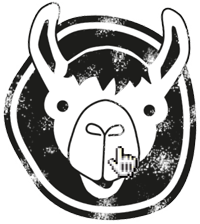 They are grown near the old Inca capital Cusco, at an altitude of 2,500 m by a small farmer in a controlled organic environment. The berries are picked by hand and afterwards very gently dried. Physalis is rich in antioxidants, has many minerals, such as phosphor and iron, as well as valuable vitamins, such as provitamin A, vitamin B1, B6, vitamin C, E, as well as unsaturated fatty acids, such as linoleic and oleic acid. The orange colored berries of Physalis help in cases of diarrhea. The leaves are also useful, as they can be used as bandages for wounds. Due to its high iron and phosphor content, Physalis helps in blood production and acts as energy booster. The high content of Provitamin A ensures a functioning nervous system, helps rejuvenation of the skin, and supports metabolism. In addition, the amount of vitamin A is also important for eyesight. Physalis is diuretic and can help with rheumatic diseases and gout. A protein content of 16% makes it good for muscle building and cell growth. The high content of phosphor ensures strong bones and teeth and helps to release nutrients during digestion. Physalis also has a high pectin content, which helps in lowering cholesterol and blood sugar level. Next to vitamin C and E, bioflavonoids act as antioxidants, help to detox the body and have an anti-inflammatory and anti-viral action during food intake. Interesting for people with allergies: it is also a natural antihistamine. It also contains melatonin, which helps to regulate the biological rhythm and supports restful sleep. Since the Physalis plant ripens all year, the farmer goes several times a day through his fields and controls the ripeness of the fruit. The harvest of Physalis is done by hand: The Berry, which has similarities of a Chinese lantern, is picked in its paper-like hull, put in boxes and immediately taken for processing to the nearby production facility. There the Physalis fruit is removed from its hull by hand and then washed. Subsequently the Andes berries are gently dried and packaged. The dried Physalis are now ready for distribution. Through the direct purchase from small producers in Peru we support the livelihood of small family farms and ensure that cultivation, harvest, and production is being done in harmony with nature. The very fruity and slightly sour tasting Physalis is an eye-catcher in salads or muesli. However, it can also be mixed into smoothies along with other tropical fruits, enabling the valuable ingredients of Physalis to shine. Dried Physalis can be used as an ingredient or alternative to raisins in baking, or used as a fruity ingredient in homemade nut- or muesli mixes. Due to its high pectin content it is very well suited for the production of delicious Physalis marmalade. Of course dried Physalis is suited any time for a healthy and nutritious snack in between. You can find various delicious recipes at the Recipe page. 1 - 2 x daily sprinkle or mix abt. 25g organic Physalis Berries into dishes or enjoy as a snack. The small fruits of the Andes Berry, which look like little lanterns (hence the name Chinese lantern), originate in South America. The berries of the Chinese lantern, however, are only used for decoration and are not eatable. 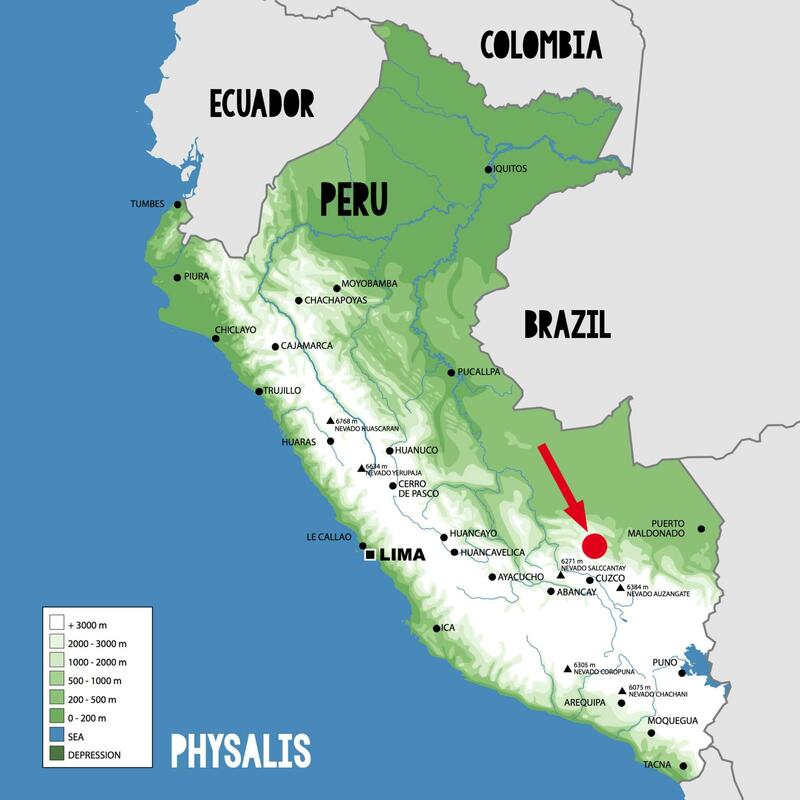 Portuguese mariners in the 18th century discovered after visiting Peru, that Physalis – thanks to its high content of Vitamin C and good shelf life when dried - was a good treatment for scurvy. They brought the plant with them to South Africa, where it was planted at the Cape of Good Hope and became known as the Cape gooseberry. 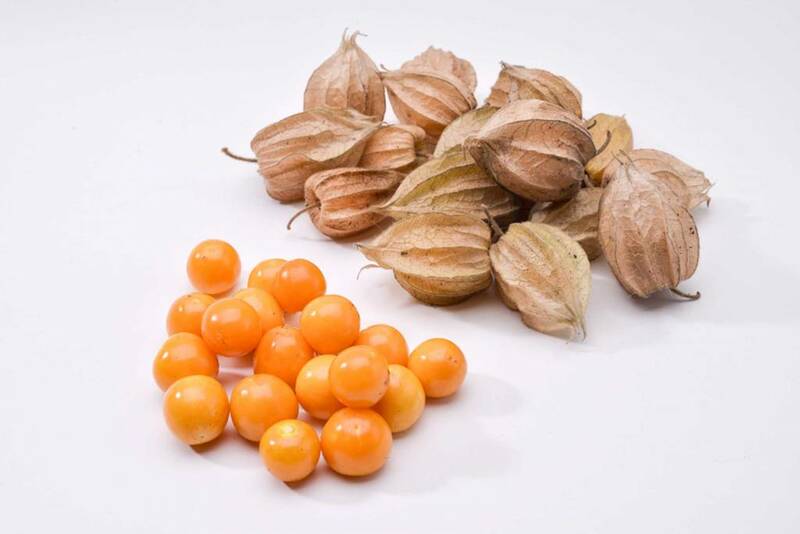 Mariners also brought Physalis to Australia, New Zealand, China, India and Malaysia. In all these countries Physalis developed into traditional home remedies. 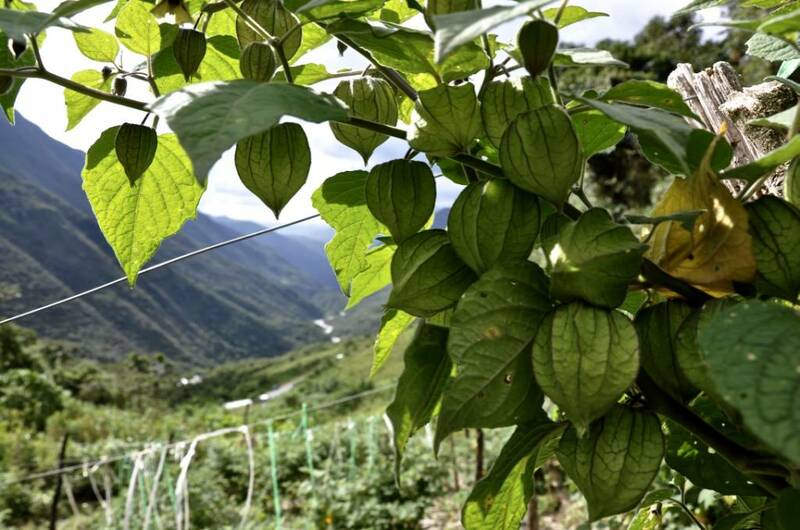 Today there are over 90 different varieties, but the scientific name Physalis Peruvian says a lot about its origin. The perennial, up to 2 meters high growing plant belongs to the nightshade family and the genus of Physalis. They need a warm and sunny spot and much water. The fruits are hidden behind fragile, paper-like calyces and are pretty when ripe. First, they are green, but change to a round and shiny orange when ripe. Once Physalis has fully ripened, it falls to the ground. The taste of the berry is refreshing sweet-sour. 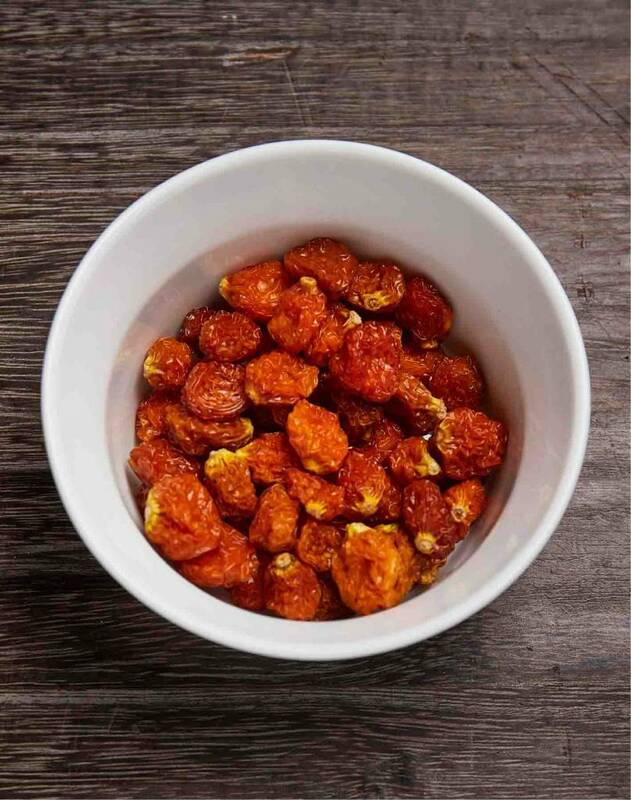 Dried Physalis retains its valuable ingredients thanks to a gentle drying process, which also gives a longer shelf life.